IF YOU HAVE AN HOUR OR TWO TO SPARE PLEASE COME AND JOIN US IN THIS ANNUAL EVENT. MEET OUTSIDE STAUNTON’S CHEMIST AT 10:30am. 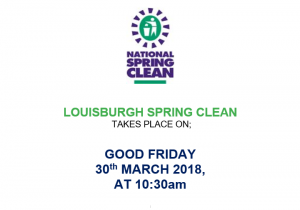 GLOVES, PICKERS AND HIVIS VEST WILL BE PROVIDED.